At St Margaret’s, we want children to love reading – and to want to read for pleasure. This is why we put our efforts into making sure they develop a love of books as well as simply learning to read. Teaching children to read and write accurately, fluently and confidently is one the most important thing we will do. At St Margaret's Primary Academy we teach phonics through Read Write Inc.
At St Margaret’s we recognise that children who read a lot are successful at school. Reading enriches their vocabulary, their grammar, their writing and their spelling. We are proud to be a Read Write Inc. school. In addition, across the school we use Accelerated Reader to promote reading. • Every Half term your child takes a reading assessment called the “Star Reading Test” on a computer which asks your child questions to assess their reading and comprehension skills. • The results produce a level of books that are suitably challenging to improve your child’s reading and comprehension skills. • When they have finished the book they then take an “Accelerated Reading Quiz” that asks them questions relating to the book. • The computer then gives children a percentage score depending on how many questions they have got right (children are aiming for 80%). • Your child then reads other books within their level, and gradually progresses onto harder books. We are asking that you ensure your child reads every day with an adult or on their own. It would be very helpful to your child if you ask them questions about what they have read as this will help them remember the book before they take the quiz. Don’t forget to sign up to the Home Connect Online Programme where you will be able to log on and view your child’s progress towards their reading target. 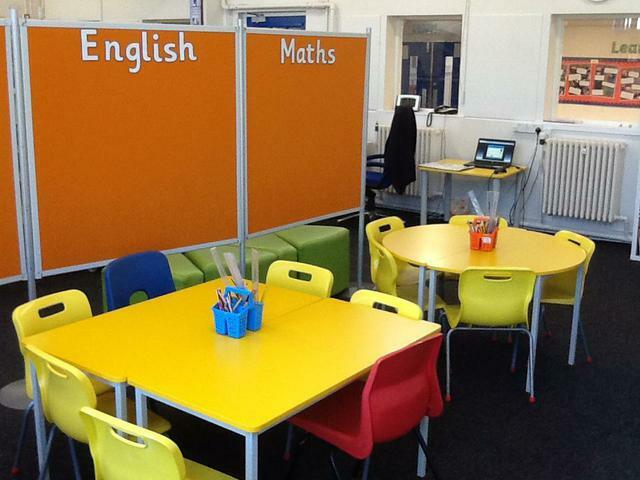 You will also be able to see all the books that your child has read and quizzes they have taken. How to Teach Sound Blending Watch this parent tutorial to learn our method of teaching children to blend sounds into words. 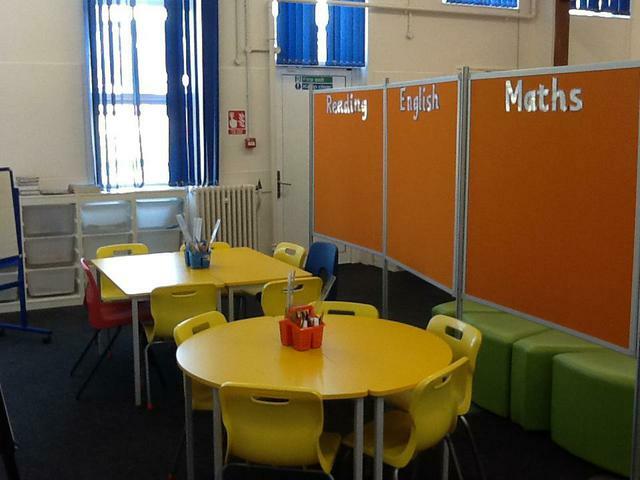 Welcome to our new look library! 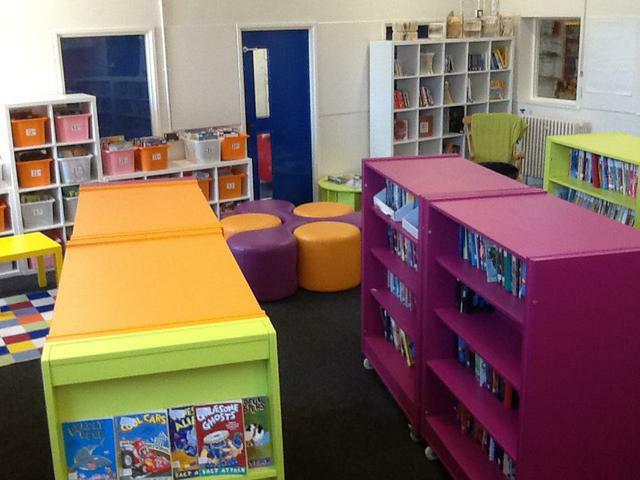 During the summer holidays the library has been completely refurbished with new shelving units and a seating area providing a fresher, open spaced feel. The library computers have also been relocated to individual classrooms to allow children easier access to the internet when completing research during lesson time. Finally, we have divided the library space into two sections with a screening wall, which allows the teaching of small intervention groups to take place in a quiet environment. 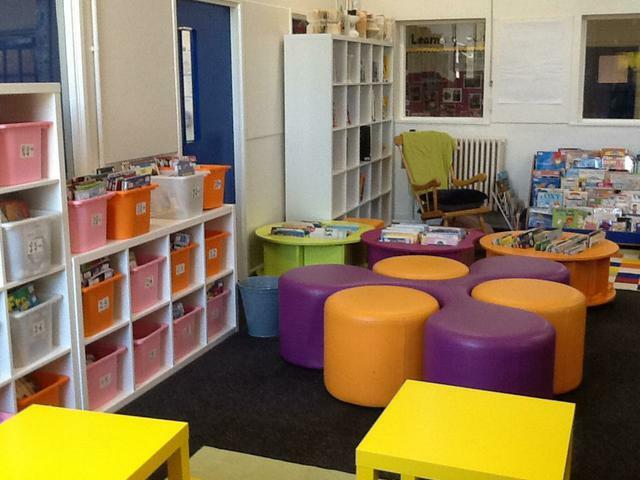 We are very happy with our new library, and hope the children love it too!